If you are wondering how to sync only checked songs and videos from computer to iPhone 8, you can check out this guidance to assist you. 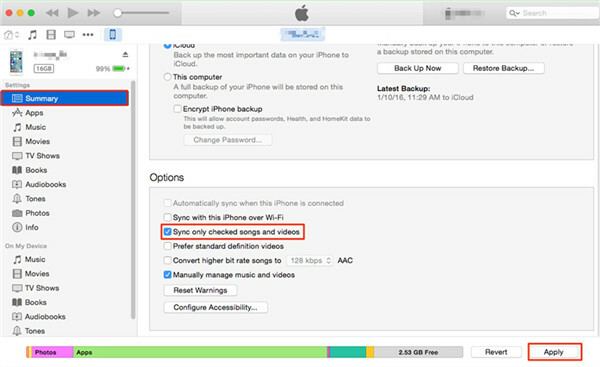 By solving how to sync only checked songs to iPhone, you can save the iPhone space for other files. By default, iTunes sync all songs from the library to iPhone. Actually, you can sync iTunes checked songs via iTunes manually or via iTransfer. This guidance will show you the two methods to achieve your aim. Thus, there will be no need for you to worry about how to sync iTunes checked songs to iPhone 8 any more. To solve how to sync iTunes checked songs to iPhone 8, you can take advantage of iTunes manually. iTunes is a tool developed by Apple Company. You can use it to transfer various kinds of files or back up your iPhone easily. To sync iTunes checked songs to iPhone 8 is not a tough task at all with the help of iTunes. 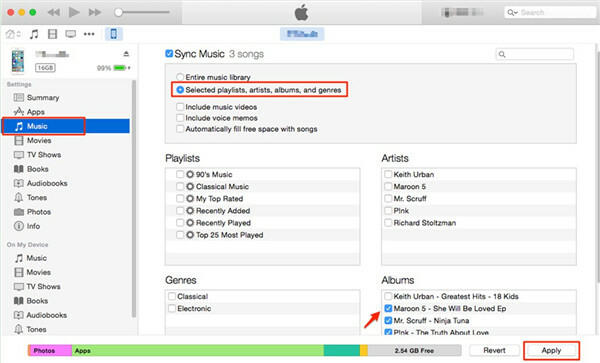 Let’s begin to look at the detailed steps to realize your goal to sync iTunes checked songs. Step 1. Plug iPhone into computer via USB cable and launch the latest version of iTunes on computer to begin to solve how to sync only checked songs to iPhone. Then you need to head to “iPhone icon > Settings > Summary”. In the right part of the interface, scroll down to the “Options” area. Tick “Sync only checked songs and videos” and tap the button of “Apply” to confirm your settings. Step 2. Afterwards, click on the “Music” panel under the menu of “iPhone icon > Settings > Summary”. Make sure the option “Selected playlists, artists, albums, and genres” is checked. Then you need to click on the “Apply” button to begin to sync iTunes checked songs to iPhone. This method is easy to handle. You just need a few clicks to achieve your aim. However, if you do not want to lose the existing music on your iPhone in the sync process, you can use iTransfer to help you to avoid this big disadvantage of iTunes. iTransfer is a 3rd–party program that will be introduced in the second part of this guidance. 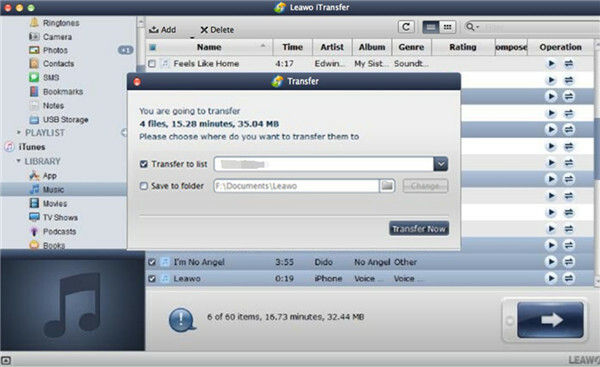 Leawo iTransfer is a good tool to help you to solve how to sync only checked songs to iPhone. 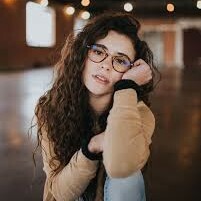 Although you can use iTunes to sync only checked songs and videos, its shortcoming prompts you to choose a more effective program to realize your goal. 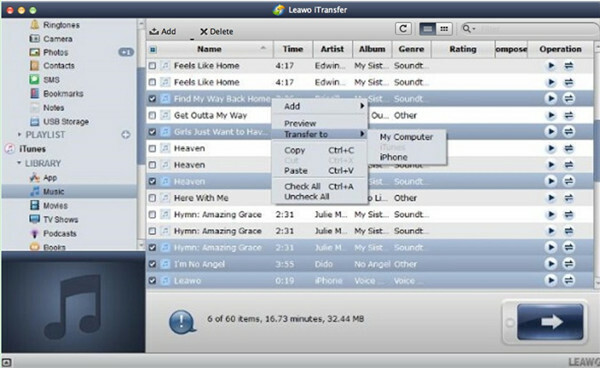 iTransfer can be used to manage up to 12 types of files among iTunes, iDevices and computers. Therefore, it is able to sync iTunes checked songs to iPhone without any trouble. Now let’s continue to check out how to use iTransfer to sync iTunes checked songs to iPhone. Plug your iPhone into computer with USB cable and then run iTransfer on your computer to start to solve how to sync iTunes checked songs to iPhone. The information of iPhone will show in the left sidebar, including the type, capability, version, serial number of the iPhone 8 and so on. Click on the iTunes icon and then navigate to “LIBRARY > Music” panel to check out all iTunes music in the right part of the window. The information of the iTunes music are displayed in detail, such as the name, time, artist, album, genre, rating and etc. Choose the music you would like to move to iPhone by checking the empty box beside the name of the music and then click “Transfer to > iPhone”. A pop-up panel will direct you to set a location to save the exported iTunes music. Check “Transfer to list : iPhone 8″. Afterwards, click on “Transfer Now” to begin to sync iTunes checked songs to iPhone 8. When this process comes to an end, the iTunes music that you have chosen will be accessible on your iPhone 8. You can also check “Save to folder” and choose a location on your computer to save the iTunes music for later use. You can use iTransfer to sync only checked songs and videos to iPhone 8 easily. If you want to transfer iTunes videos to iPhone, you only need to choose the “Movies” category under “iTunes > LIBRARY” menu to make it. iTransfer has powerful functions to help you to deal with different kinds of transfer issues. If you want to solve how to sync only checked songs to iPhone, I strongly recommend you download and install this great tool to have a try.